Functional family spaces fused with stately charm allow this Victorian period home to reconnect with the past in the most delightful way. 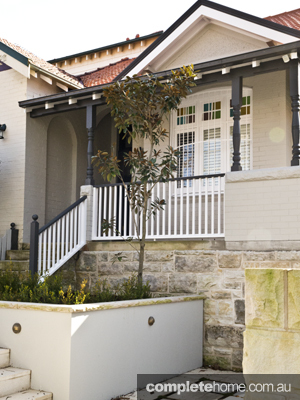 A beautiful renovation in Sydney’s salubrious suburb of Mosman called for demolition, re-build and extension. Jakin Constructions and the client’s architect joined forces to revamp this rundown, single-level semi with very dilapidated features; opening it up and modernising it to make it an exciting and livable home. 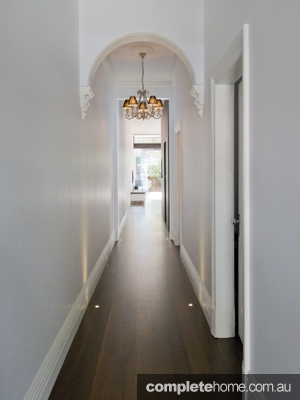 While the old houses commonly found in Sydney’s inner suburbs often have a certain grace and charm about them, they also feature an often not so desirable quality — darkness. Early last century in the days when many European–influenced homes sprang up, dingy rooms, closed off by separating walls and low ceilings, helped keep the sun and heat out. Things have come a long way since then, though, and with today’s technology and building advancements, properties are able to enjoy the warmth and light without sacrificing comfort. This was exactly the situation with this recently completed project; it was dark and dilapidated and needed some love. Jakin Constructions pulled it all together by completely demolishing the rear of the house to make way for a new extension to the rear and a new first floor addition. A new kitchen, two new bathrooms and a new laundry were installed and the front of the home also needed extensive work. The existing front aspect was refurbished but many of its original features were kept and rejuvenated in a bid to pay respect to its former glory. Lastly, new off-street car parking was created and landscaping added the finishing touches. Creating livable, functional and open spaces is key to a young family’s happiness and wellbeing, especially when you have busy working days and small children. For this family in particular, it was integral to create a home where they could entertain friends and make the most of large areas flowing out to the garden. 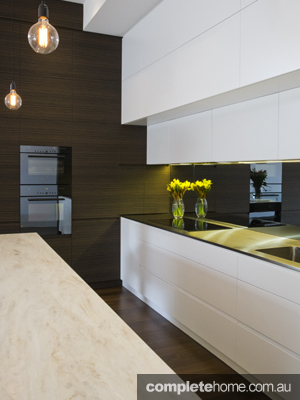 Special design considerations make this home exceptional. 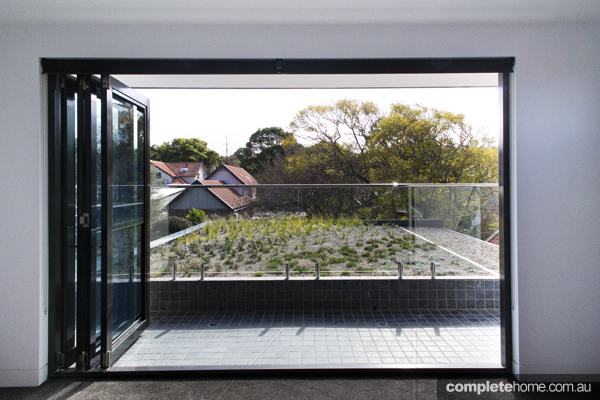 A green living roof on the upper level, which is overlooked by the master bedroom, is a unique feature that you don’t see often in an inner-city suburb of Sydney. “This rooftop garden is particularly special as, not only does it serve to look beautiful, but also it was used specifically over the rear extension for its thermal and acoustic insulation properties and to aid storm water retention,” says James. The use of a green roof adds an eco-friendly element to the design, which is also complemented by the energy efficient low E glass used in the glazing, the louvre Hi-Light windows implemented for cross ventilation and the rain water tanks for garden irrigation. The green roof, while energy-efficient, was also the biggest splurge throughout the project. A first in Mosman, it was also one of the more difficult elements to get through the council. “Clean lines and clever lighting, the exposed structural steel frame to the rear, the bi-fold doors and joinery that flows from interior to exterior seamlessly were all things that also required special design consideration,” says James. 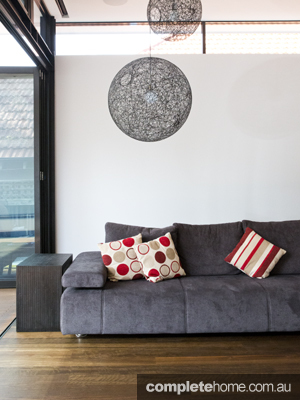 But the link between the existing cottage and facade at the front to the modern extension at the rear and the rear open kitchen living room that flows effortlessly out to the back deck and barbecue are what make this home really special,” says James. Every renovated room is an amalgamation of shapes and contours. 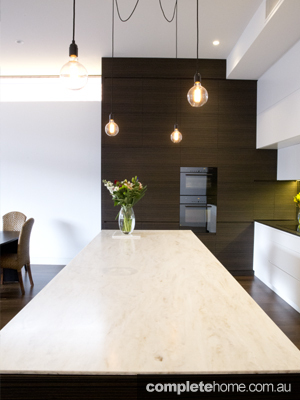 The kitchen is blessed with a high ceiling, which is filled with beautiful and functional fittings and ingenious lighting solutions. 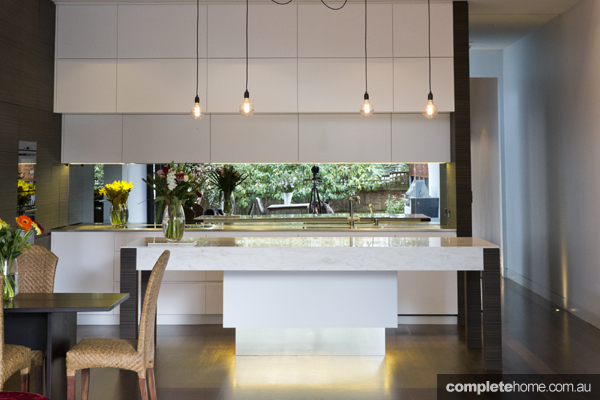 A high ceiling is a pendant light’s best friend and in this home the height has been filled perfectly with a number of industrial style pendants that grace the empty void above the kitchen benchtop and add intrigue. 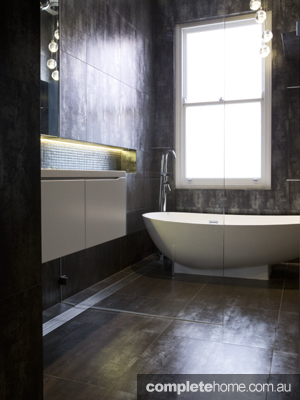 The bathroom is a beautifully designed space that combines dark, moody hues with sensual shapes to create the ultimate luxurious kick-back-and-relax room. Striking and elegant pendant lights hang in the corner and a showerhead that seems to mimic a water droplet floats in the room. 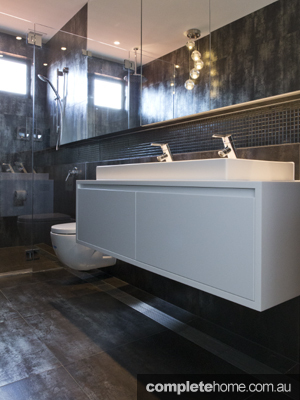 While not the largest room, the bathroom cleverly incorporates a freestanding bath, shower and all the bathroom essentials without seeming cramped. The dark, dingy spaces have been opened up and modernised expertly. 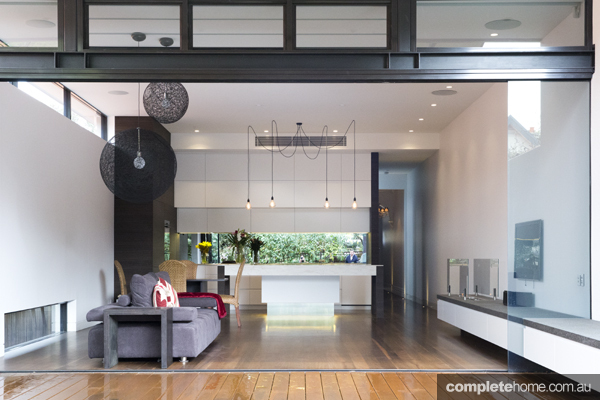 Large open areas and flowing, interconnected spaces make this home worthy of mention and are what enabled it to be nominated for the Master Builders Association Excellence in Housing Awards. Everywhere you turn there are eye-catching shapes that facilitate and enhance the entry of light. Skylights paired with windows in entryways allow natural light to stream through in an interesting and diverse manner and while there are many original features still within the home, they have been beautifully balanced out and highlighted by the contemporary additions.